I’ll be honest, I’m a bit of a novice when it comes to applying fake eyelashes - they scare me. They’re fiddly and fragile and tricky to put on! However, the effect that they create is stunnng! So, I preservere. The first eyelashes I ever wore were KISS lashes* and they’re the only lashes I’ve worn since. Hence why, today I’m giving you a rookie’s review of my go-to lashes and why I’ve grown to love them! First things first, they’re so affordable! This eases my fears slightly because I know if they don’t quite go to plan, it didn’t break the bank. 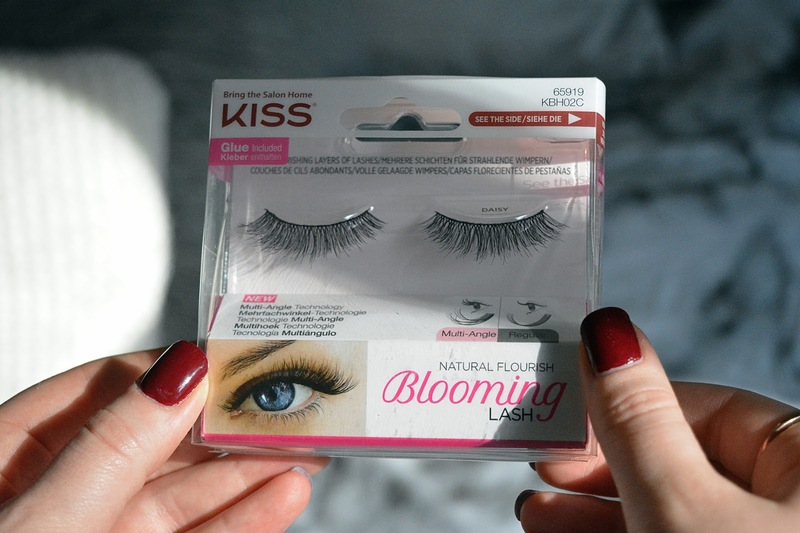 Fake eyelashes can get pretty expensive so it's fab when you can get amazing ones so cheaply! 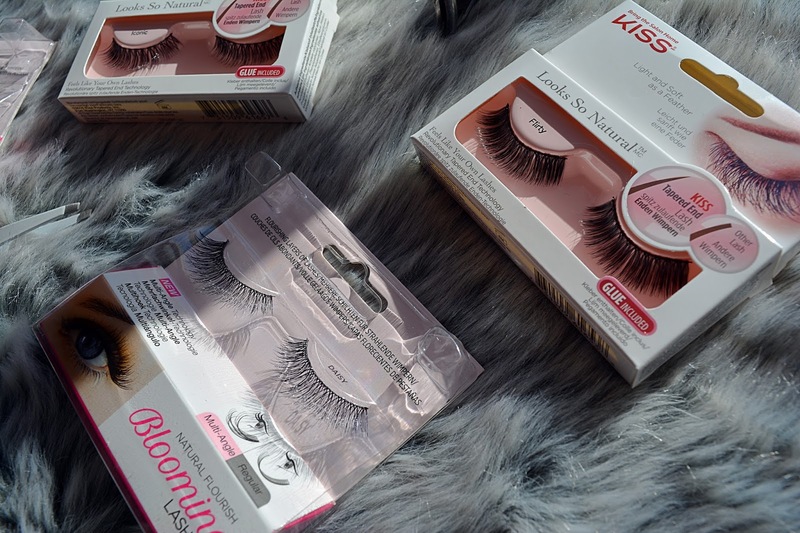 They're also super easy to get, available from most drugstores or you can pick them up from False Eyelashes here who have an amazing selection of lashes! 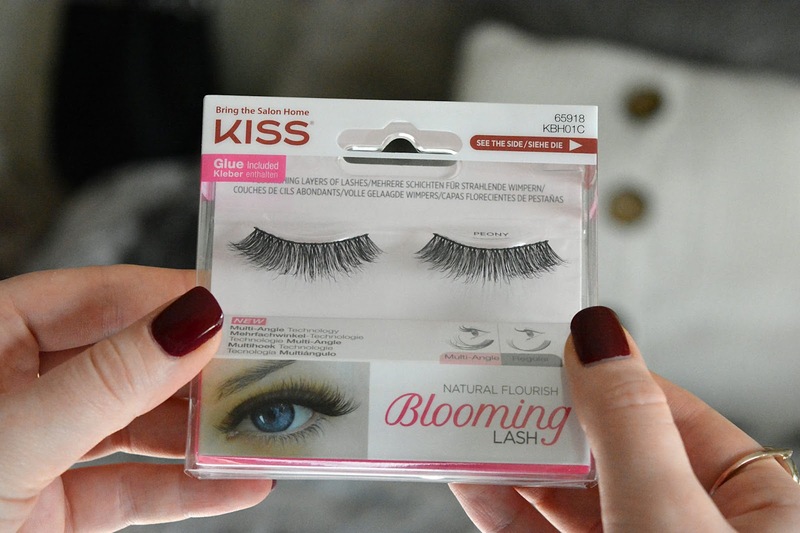 False Eyelashes don't just stock KISS but an insane array of different brands with varying prices and styles. They have the various collections KISS lashes while also selling their lash glue and individual lashes. My favourite styles are 'Daisy', 'Peony', 'Iconic' and 'Flirty'. When I'm looking for something a little more subtle I'd go for the Daisy lashes. These are so fluttery and feminine. If I was heading to an event or out for drinks, I'd go for Peony or Iconic as they're a little fuller without being over the top. Whereas if I wanted something more dramatic, I'd pop on the Flirty lashes. All of the lashes have a gorgeous curl and are definitely eye-catching (pardon the pun)! Each set of lashes comes with adhesive, adding to the longevity of the eyelashes. For a beginner like me, ease of application is essential. Personally, I think a pair of tweezers are a necessity! You can trim these lashes down slightly, depending on your individual eye shape and size - I like to minimise the trimming as much as possible, otherwise who knows what shape my falsies will end up! Apply a small amount of glue along the lash band (sometimes I go over it twice to make sure they stick). Let the glue settle for about 15-20 seconds until it's tacky, before applying them. Using your tweezers, starting at the outer corner, position the eyelashes as close to your real lashes as possible. Very gently press down to ensure the whole lash is stuck, particularly at the inner corner of the lash line as this tends to peel up if not stuck properly.